NOTE: Although I was able to make this work, it not work on all of Verizon’s US network outside large metro areas because the LTE card will not run Band 13. They are also not certified on Verizon so use them at your own risk. Check with your cellular provider before using on that carrier’s network. Email support@mikrotik.com and complain to them about this limitation. Start with the default configuration, no changes. Upgrade to the latest version of RouterOS. This is covered a million other places. Reboot. 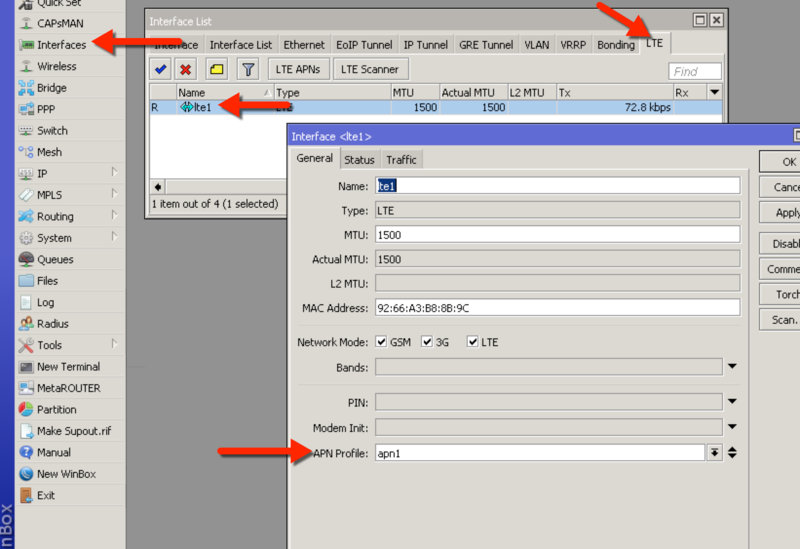 Click Interfaces-LTE-LTE APNs and delete the APN’s there. Make a new one named whatever you like. Fill in the AOPN value to “vzwinternet”. 3.Ok out of everything. 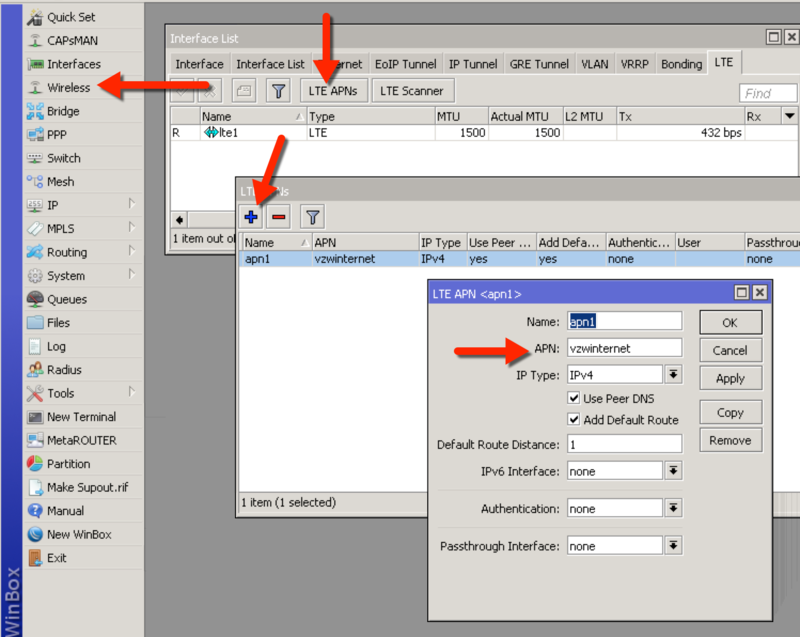 Double click the LTE interface and select your APN profile you just created. Count to ten and your device will connect to Verizon. Modify as you wish. The DHCP Client is not needed (and will be red so delete or disable it so it doesn’t bother you…) as the LTE interface will get it’s IP from the authentication process. This entry was posted in Fixed Wireless LTE, ISP Supplies News, MikroTik, Wireless Internet News by Steve Discher. Bookmark the permalink.